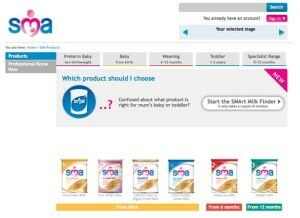 Nestlé’s aggressive baby milk marketing practices are ever more obvious in the UK following its takeover of the SMA formula brand in 2012. The latest example is Nestlé targeting the public with a stall at the Leicester Belgrave Mela Indian Bazaar on August Bank Holiday Monday (31 August 2015). 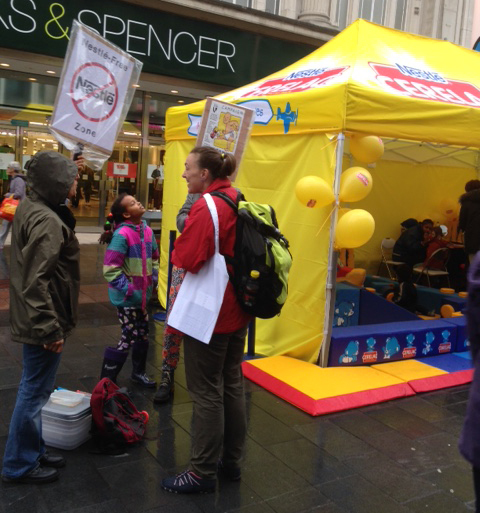 Baby Milk Action helped local supporters to arrange a peaceful protest at Nestlé’s stall, leading to a report in the Leicester Mercury. Nestlé gave out free samples of SMA toddler milk, directing parents to its “SMA Baby Club” website, where SMA infant formula and the full range of products is promoted. 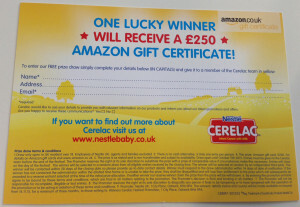 Nestlé also promoted a “Nestlé Baby” website, with free samples of Cerelac cereal, offering parents the chance to win £250 if they sent their contact details to the company. 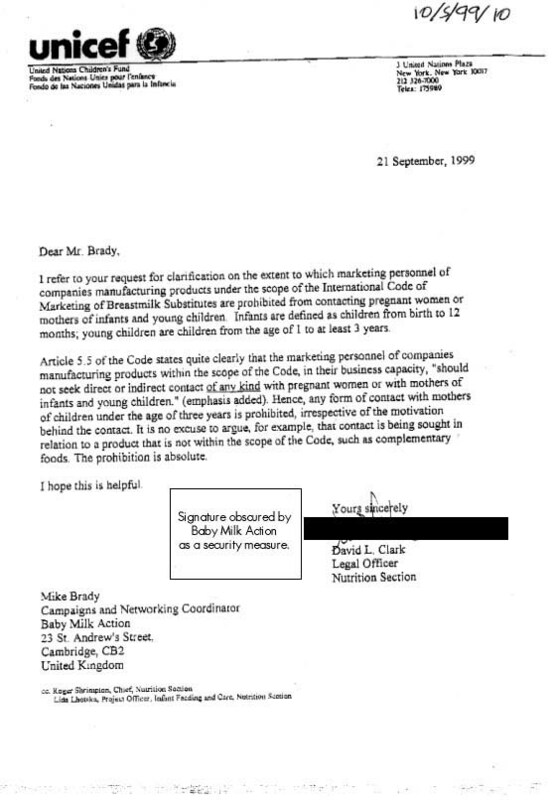 In Baby Milk Action’s assessment, Nestlé’s strategy violates the International Code of Marketing of Breastmilk Substitutes and is of dubious legality under UK law (details and images below). Baby Milk Action is encouraging members of the public to alert it to other baby food company promotions so it can organise protests if these are breaking marketing rules. The not-for-profit organisation says it will provide leaflets, guidance, support in contacting local media and be contactable on the day. Just a few people can neutralise Nestlé’s marketing strategy and gain media interest. Nestlé is the target of a boycott over its systematic violation of the rules. “At first I thought leaflets were going to be distributed but there were four or five people and a big, branded tent. “I feel it undermines all our efforts to promote breastfeeding, especially in parts of the city where we know levels are too low. The SMA toddler milk free sample came with a £1.00 money-off voucher and promoted the milks with the statement, “toddlers need lots of essential nutrients”. However, toddler milks and other follow-on formulas have been described by the World Health Organisation as “unnecessary products” (WHA Resolution 39.28 and other statements). 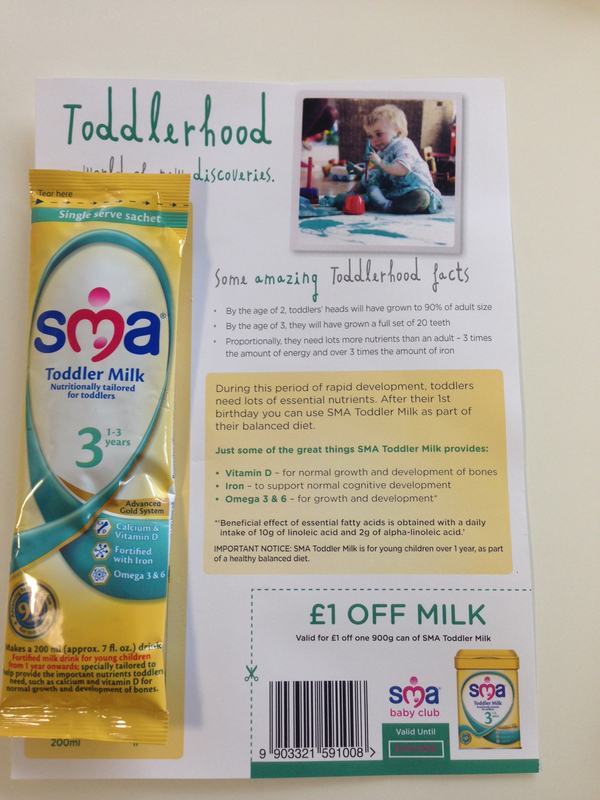 Baby Milk Action won a case the Advertising Standards Authority (ASA) last year against a misleading email promotion for SMA toddler milk sent to ASDA customers. In the ruling, published 15 October 2014, the ASA says it “told [the companies] not to state or imply that health could be affected by not consuming a product, or to give rise to doubt the nutritional adequacy of a reference product” [such as cow’s milk, which can be used from one year of age]. ASDA refused to send an email with a correction to the customers they misled. 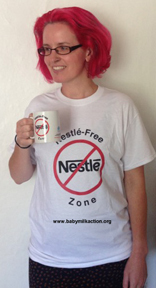 Baby Milk Action had to bring a further successful case against Nestlé as it continued to use the specific false claims online. 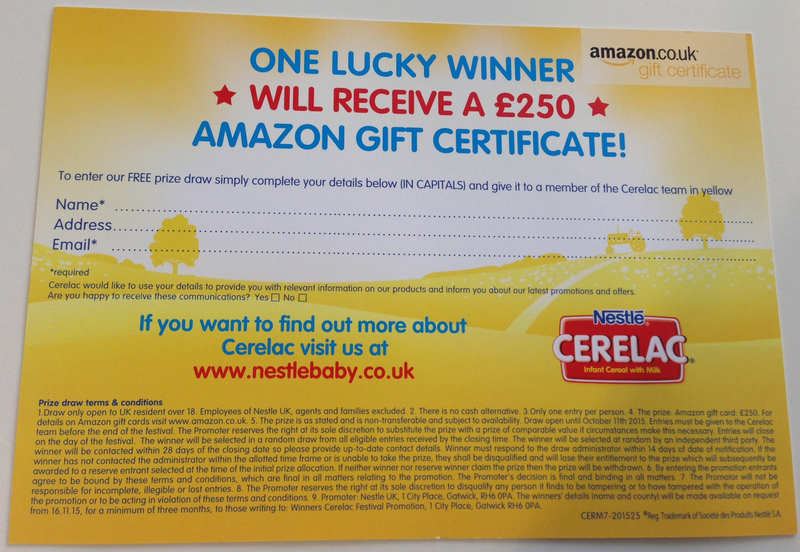 Nestlé also distributed leaflets with the Cerelac samples from its street stall, encouraging parents to sign up to the “Nestlé baby” club, with the chance to win a £250 Amazon gift voucher. 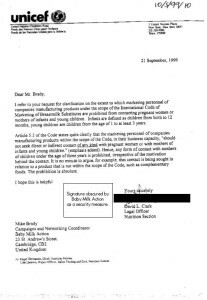 Targeting pregnant women and mothers of infants and young children violates Article 5.5 of the International Code of Marketing of Breastmilk Substitutes, adopted by the World Health Assembly in 1981. The UK Government has not yet implemented the International Code and subsequent, relevant Resolutions in legislation, despite being called on to do so repeatedly by the UN Committee on the Rights of the Child. However, there are some marketing restrictions contained in the Infant Formula and Follow-on Formula Regulations (2007), implemented in the four countries of the UK. Nestlé is breaking various provisions of the Regulations, particularly considering the interpretation set out in the Department of Health Guidance Notes to companies, enforcement officers and others. For example, the formula brand name should not be the focus of labels: the type of milk (“infant milk”, “follow-on milk”) should be in text at least as large (past analysis here, quoting regulations). It is clear from Nestlé’s website that it does not respect these provisions. Nestlé products are indistinguishable and the SMA logo dominates labels. By promoting the toddler milk, Nestlé is cross promoting the infant formula. The logo also contains the stylised image of a mother with a child in the breastfeeding position as the letter M. Such images are prohibited on infant formula. This predates Nestlé’s ownership of the brand, but it has not changed the practice, despite Baby Milk Action asking it to bring marketing practices into line with the Code and Resolutions. Until 2010 Nestle itself said it would not promote milks for older babies if they have the same brand as infant formula, but weakened its policies prior to being included in the FTSE4Good ethical investment index (FTSE4Good assesses companies against their own policies rather than the Code and so it was in Nestle’s interest to weaken them, while gaining the kudos of a FTSE4Good listing). ← Has Nestle Gone Too Far?